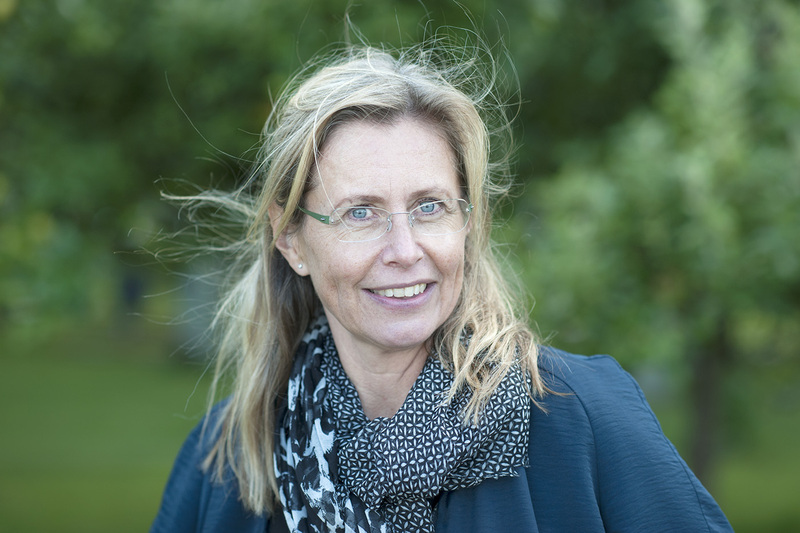 Karin Aggestam is professor of Political Science and holds the Samuel Pufendorf Endowed Chair (Ragnar and Torsten Söderbergs' foundations). She is also adjunct professor at Monash University and honorary professor at University of Queensland, Australia. Karin is excellent teaching practitioner (ETP) at the Teaching Academy and former director of Peace & Conflict Studies, Lund University. She is also board member of the Dag Hammarskjöld Foundation and co-editor of Routledge book series Law, Conflict and International Relations. Interview on feminist foreign policy, University College Dublin, Ireland. Interview by Ethics and International Affairs, Carnegie Council on Sweden's Feminist Foreign Policy, Washington, USA. Karin's interdisciplinary research interests include peace diplomacy, conflict analysis, gender, negotiation/mediation, foreign policy and the Israeli-Palestinian conflict. She has published 9 books and contributed to several Handbooks on Conflict Resolution, Diplomacy, Environmental Peacebuilding, Women, Peace, Security, Political Psychology and MIddle East Security. Her articles have appeared in international journals, such as Millennium, Ethics and International Affairs, Third World Quarterly, International Peacekeeping, International Feminist Journal of Politics, Cambridge Review of International Studies, International Relations, International Negotiation, Hydrological Sciences Journal, Peacebuilding, International Environment Agreement and several others. Gendering Diplomacy and International Negotiation (2018), co-ed with Ann Towns. Basingstoke: Palgrave Macmillan. Om Krig och fred. En Introduktion till Freds- och Konflikstudier [On War and Peace] (2017, 2nd edition) co-ed with Kristine Höglund. Lund: Studentlitteratur. Rethinking Peacebuilding. The Quest for Just Peace in the Middle East and the Western Balkans (2013, paperback 2014) co-ed. with Annika Björkdahl, London: Routledge. Re-politicising the Gender-Security Nexus. Sweden's Feminist Foreign Policy. (2019) with Annika Bergman Rosamond. European Review of International Studies [Open Access]. Special Issue: "The Politicisation of Security". Volume 5, Issue 3: 30-48. The Gender Turn in Diplomacy: A New Research Agenda (2019) with Ann Towns. International Feminist Journal of Politics [Open Access], Vol 21, No. 1: 9-28. Depoliticising water conflict. The quest for functional peacebuilding in the Red Sea-Dead-Sea-Water-Conveyance project. (2016) with Anna Sundell, Hydrological Sciences Journal. Special section: Hydrology and peace in the Middle East (2016), guest editors with Ronny Berndtsson. Special section in Hydrological Sciences Journal. Towards agonistic peacebuilding? Exploring the antagonism-agonism nexus in the Middle East Peace Process. 2015). with Fabio Cristiano and Lisa Strömbom, Third World Quarterly. 36(9): 1736-53. Peace mediation and the minefield of international recognition games (2015). International Negotiation. Journal of Theory and Practice.20(3): 496-514. The Nile and the Grand Ethiopian Rennaissance Dam: Is there a meeting point between nationalism and hydrosolidarity? (2015) with Dalia Abdelhady, Dan-Erik Andersson, Olof Beckman, Ronny Berndtsson, Karin Broberg Palmgren, Kaveh Madani, Umut Ozkirimli, Kenneth Persson, Petter Pilesjö, (2015). Journal of Contemporary Water Research & Education, Issue 155. The Nile Basin and Hydrosolidarity (2015) with Dan-Erik Andersson, Ronny Berntsson and Kaveh Madani. The Middle East in London. 11(2). Situating water in peacebuilding (2014) with Anna Sundell. Journal of Water International. 39(1): 10-22. WPS, peace agreements and negotiations ( 2018), Oxford University Press Handbook on Women, Peace, Security, edited by Sara Davies and Jacqui True. Violence, wars, peace, security (2018), with International Panel on Social Progress, Rethinking Society for the 21st Century. Report of the International Panel on Social Progress, 3 Volume Paperback Set. Cambridge: Cambridge University Press. Where are the women in peace mediation? ( 2018) with Isak Svensson, in Gendering diplomacy and international negotiation, Karin Aggestam & Ann Towns. Basingstoke: Palgrave Macmillan. Introduction: The Study of Gender, Diplomacy and Negotiation (2018), with Ann Towns, in Gendering diplomacy and international negotiation, Karin Aggestam & Ann Towns. Basingstoke: Palgrave Macmillan. Conclusion: The Quest for Gender Justice in Diplomacy (2018), with Ann Towns, in Gendering diplomacy and international negotiation, Karin Aggestam & Ann Towns. Basingstoke: Palgrave Macmillan. Depoliticisation, water and environmental peacebuilding (2018), Routledge Handbook of Environmental Conflict and Peacebuilding, edited by Ashok Swain and Joakim Öjendahl. Diplomacy - a gendered institution (2017), with Ann Towns, in Diplomacy in a Globalising World, Pauline Kerr and George Wiseman, eds., Oxford: Oxford University Press. Krig och fred i förändring [War and Peace in Transition] (2017, 2nd edition) in Karin Aggestam & Kristine Höglund, eds., Om Krig och fred. En introduktion till freds- och konflikstudier [On War and Peace]. Lund: Studentlitteratur. Om studiet av krig och fred, med Kristine Höglund, (2017, 2nd edition) in Karin Aggestam & Kristine Höglund, eds., Om Krig och fred. En introduktion till freds- och konflikstudier [On War and Peace]. Lund: Studentlitteratur. The failure of diplomacy and protection in Syria (2016) with Tim Dunne. Foreign Policy: Theories, Actors, Cases, Steve Smith, Amelia Hadfield, Tim Dunne (eds). Oxford: Oxford University Press. Diplomatic mediation (2016). The SAGE Handbook of Diplomacy, Costas Constantinou, Pauline Kerr, Paul Sharp, eds. Genus, medling och fredsdiplomati, (2016) i Jenny Björkman, red. RJ:s årsbok 2016. Stockholm: Makadam förlag. The Grand Ethiopian Renaissance Dam: Conflict and Water Diplomacy in the Nile Basin (2016), with R. Berndtsson, K. Madani, D.-E. Andersson. Water Diplomacy in Action. Contingent Approaches to Managing Complex Water Problems. Shafiqul Islam and Kaveh Madani, eds. London: Anthem. Att bygga rättvis och hållbar 'blå' fred (2015). 15 hållbara lösningar för framtiden. Nina Nordh, red. Lunds universitet: Hållbarhetsforum. Freds- och konfliktforskning. Omtvistad policyrelevans? (2015). Samhällsvetenskapliga fakulteten i Lund - en vital 50-åring. En jubileumsskrift, Gunnar Andersson & Magnus Jerneck (red). Lund: Samhällsvetenskapliga fakulteten. Conflict Analysis and International Relations (2014), Palgrave Handbook of Global Political Psychology. Nesbitt-Larkin, P.,KInnvall, C., Capelos, T. with Dekker, H. (eds). Recognitional just peace (2013) in K. Aggestam & A. Björkdahl, eds. Rethinking Peacebuilding. The Quest for Just Peace in the Middle East and the Western Balkans. Routledge. Introduction: the study of just and durable peace (2013), with Annika Björkdahl, in K. Aggestam & A. Björkdahl, eds. Rethinking Peacebuilding. The Quest for Just Peace in the Middle East and the Western Balkans. Routledge. Conclusion: rethinking just peacebuilding in theory and practice (2013) with Annika Björkdahl, in K. Aggestam & A. Björkdahl, eds. Rethinking Peacebuilding. The Quest for Just Peace in the Middle East and the Western Balkans. Routledge. Politik för en fredligare värld (2013). i Li Bennich-Björkman (red) Statsvetenskapens frågor. Lund: Studentlitteratur. Högupplöst bild på Karin Aggestam.